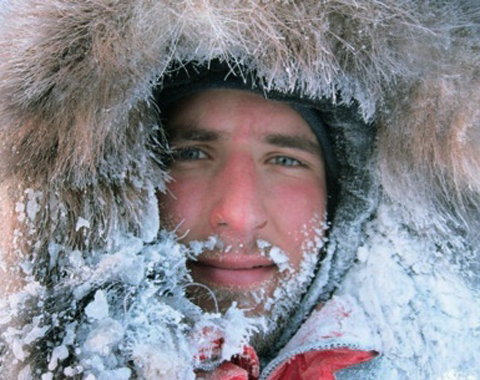 Tessum is the eldest son of well-known polar explorers and adventurers Richard Weber & Josée Auclair. Tessum (21 in 2010) is currently pursuing an undergraduate degree in Bachelor of Commerce with specialization in finance. He has spent his summers helping in the family business, Arctic Watch Wilderness Lodge -Canada’s premier arctic safari lodge. Arctic Watch is home to a staggering 2000 beluga whales congregating annually at the river mouth of the Cunningham River. For its short summer operation (6 weeks), guests have the opportunity to view thousands of years of untouched Inuit culture, view musk oxen, polar bears, seals, beluga whales, arctic foxes, snowy owls, a large variety of bird-life, sea kayak with beluga whales, ATV and hike the tundra, raft 1000 foot canyons with superb food served in the evenings. Tessum Weber went to the North Pole in 2005, has taken part on a ski trek across Ellesmere Island (in Canada’s high Arctic), co-guided a trekking expedition through the remote Akshayuk pass on Baffin Island, Canada and has recently returned from trekking in Nepal. Growing up with adventuresome parents, Tessum is looking to pursue a similar path taken by that of Richard and Josée. This past winter, he trekked to the North Pole from Canada with his father -becoming the youngest person ever to complete the 800 km trek and setting the speed record in 41 days 18 hours. Canada to the North Pole on skis (spring 2010), becoming the youngest person to reach the North Pole and setting the speed record in 41 days 18 hours.